You might remember that Microsoft was supposed to unveil the Microsoft Surface Mini during the same event that unveiled the Microsoft Surface Pro 3. Instead, the Surface Mini was scrubbed. Rumors had the software giant positioning the Mini to be a device for taking notes and messages, and there has been talk that the slate would get a second chance. There could be something to that rumor in light of a leak that took place today, on the Microsoft Surface website. A leaked user guide for the Microsoft Surface Pro 3 made some references to the Microsoft Surface Mini, even though Microsoft had never confirmed the existence of the bite-sized slate, until now, that is. One section of the Surface Pro 3's user guide, dealing with the Surface Pen, said, "You’ll pair your new pen with Surface Mini a little later during setup." That would seem to officially confirm that the Microsoft Surface Mini does exist. 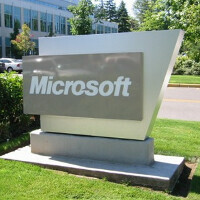 Speculation as to the reason for Microsoft's decision to pull the tablet are numerous. According to one rumor, Satya Nadella, and Stephen Elop, Microsoft's CEO and Executive Vice President respectively, felt that there was no difference between the Surface Mini and the competition. That led the executives to doubt that the tablet would be a hit. And the pair did not want to risk a repeat of what took place with the Microsoft Surface RT. That tablet sold so poorly that Microsoft had to write-off $900 million worth of unsold tablets, collecting dust in a warehouse. While the references to the Surface Mini in the Surface Pro 3 User Guide does confirm that such a tablet exists, it does not prove whether or not Microsoft will give the device a second opportunity to see the light of day. We should point out that Microsoft has since removed all references to the Surface Mini from the leaked user guide. I wonder if the Surface mini had the same issues as the Surface 3 -- inferior pen, bad drawing ergonomics. And then there is price. The better models of the Surface 3 are obscenely overpriced. The top model with i7, 8GB, and 512GB SSD should be $999, not $1949. Like the Surface 3, the Surface Mini would have probably priced itself out of the market, relegating itself to some small niche of Microsoft fans. Why don't you tell us how the pen is inferior and has bad drawing ergonomics?. How many pens can instantly open a blank OneNote document on your screen. Palm Block technology ignores the pressure from your hand when it senses you’re using the Pen. Surface pen is designed for accuracy across the entire canvas. For what you get in Surface 3 you are getting more than your moneys worth from form factor to features. You simply spread lies and hate upon all things MS.
Actually the Surface pro 2 stylus could do all that and doesn't even need a battery like the n-trig one on the Surface 3. Microsoft if you can read this; I would love a mini with a high resolution screen and the i5 with LTE also to be unlocked for a SIM card cellular services and I promise you it will be a hit and sell. P.s. Full windows only! I'm sure Microsoft will make something like this. Just be prepared to pay as it will cost as much as a nice laptop and a nice tablet combined.